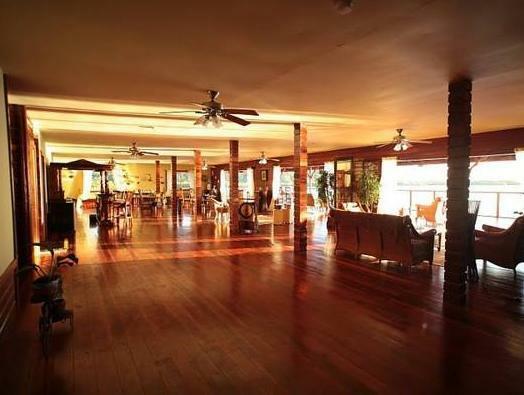 ﻿ Best Price on Laguna Azul Eco Boutique Hotel - Full Board in Punta Laurel + Reviews! Surrounded by tropical mangrove forests on the shore of Isla Colon, this eco-hotel offers a gym and spacious rooms with sea views. Daily excursions, meals and drinks are included. Located on a private island, Laguna Azul Eco Lodge has direct access to the beaches and protected waters of Bocas del Toro, a 40-minute boat ride away. The area is ideal for snorkelling, kayaking and is home to turtles and dolphins. The nearest beach is a 15-minute boat ride away. The Laguna Azul’s restaurant serves local cuisine, including exotic fruits and fresh seafood. You can also relax with a drink on a seafront terrace, or use the free Wi-Fi in the lobby. Each elegant room at the Lodge has wooden floors, a ceiling fan and a safe. Bathrooms come with a hairdryer, toiletries and a bath or shower. Daily excursions include boat trips to the nearby Bastimentos National Marine Park. You can also hike through the rainforest or visit typical local villages. Please note that 100 % of the total amount of the reservation must be paid in advance. Once a booking has been made, the hotel will contact the guest directly to arrange payment by PayPal. Please let Laguna Azul Ecolodge know your expected arrival time at least 4 days in advance. You can use the Special Requests box when booking or contact the property. Airport transfers are provided to and from Bocas del Toro Airport. A representative of Laguna Azul Ecolodge will meet you at the airport and take you on the 30-minute boat ride to the hotel. Guests are requested to contact the hotel in advance using the contact details found on the booking confirmation.